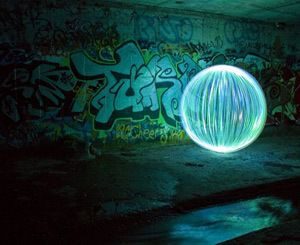 PetaPixel has a post about light painter photographer, Denis Smith, who spins around a light in his long exposures to capture spheres of light in photographic scenes. They’re incredibly intriguing. I think it also helps his cause that he visits the wide gamut of environments that Australia offers. You can see the process of Smith spinning his lights at the 9:45 mark and 13:42 marks. You can skip the first seven minutes if you prefer not to hear about how his life before photography was out of control because of his hectic career in professional sales.